I love tofu as well but usually just steam and top it with fried onions. Your tofu dish is elegant, Gert. What are the orangy bits on the top?? I made steamed tofu too, then deep fry. But yours look more pretty...yummmy! wow!! 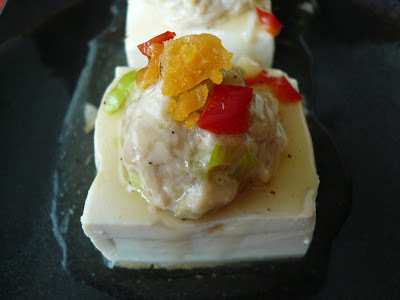 again another creative tofu dish.look so good! 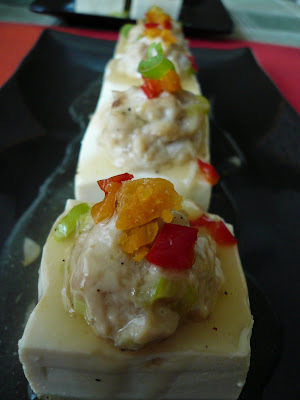 !.I cook silken tofu once a week for Mishu but not fancy..erh just taruh alot of gravy on top..also malas to steam. Jun, is good to eat tofu because it healthy. Good for your kids. Beachlover, you can cook this for Mishu. 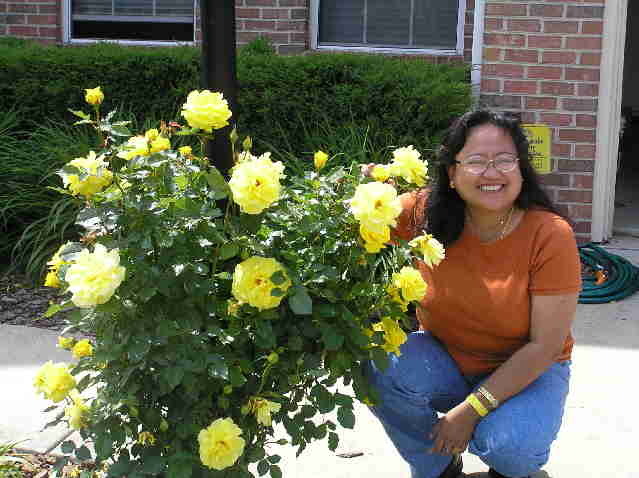 I am sure she is going to like it. I like this tofu! Delicious, healthy, colourful and easy to prepare. Thks for another good recipe!!! Very nice presentation... Cute sangat - sayang nak makan pulak... Eh, Carlos like tauhu ke??? Lydia, thanks for dropping by. 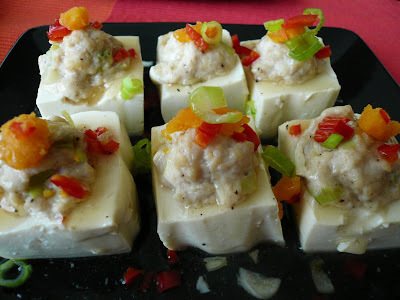 Envy, tofu is a good source of protein for vegetarian. You can replace the chicken with mash tofu, carrots and mushroom. Bind it all with beaten egg and steam it. Hope this help. Thanks for the tip Gert .. will definitely try this out! Gert, your tofu dish looks delicious. Can you finish all of them? Zue, I makan that for 2 meals. Lunch and dinner. Frankensteina, Thank you. Hope you see you often here.